San Diego, July 10, 2017– The Spay Neuter Action Project, the first organization in San Diego County to provide programs to solve the tragic outcomes of pet overpopulation, announces its upcoming spay/neuter clinic on Tuesday, July 11, on tribal grounds of the La Jolla Band of Luiseño Indians, beginning at 8:00 am check in time. SNAP, as more commonly known around the community, is a formal non-profit organization that formed in 1990 to reduce the number of unwanted pets in San Diego County. 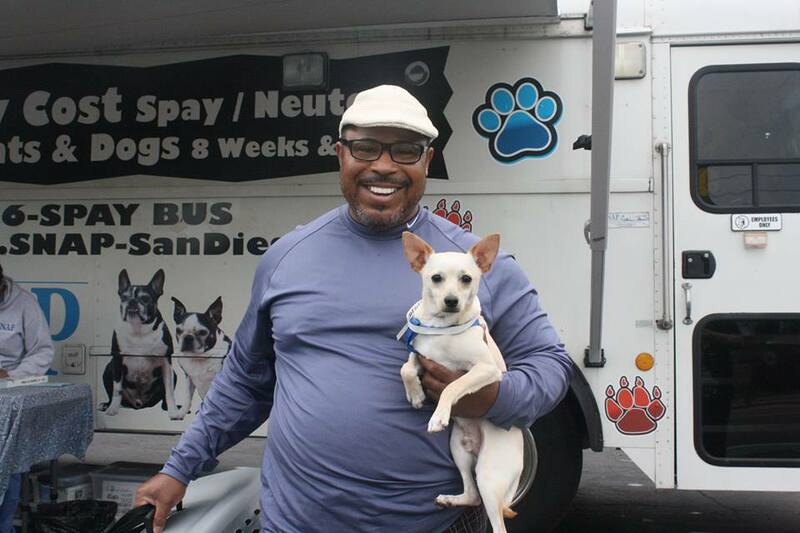 Affordable spay/neuter services are offered through mobile clinics in primarily lower-income neighborhoods. 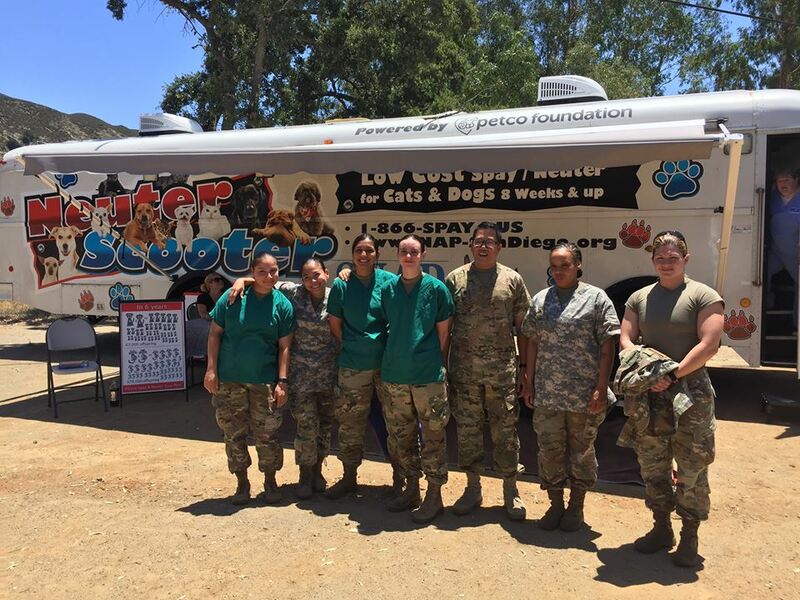 An average of 500 surgeries are performed each month by fully trained and State licensed veterinarians with support from qualified medical assistants, in the hospital- grade operating suite located inside the “Neuter Scooter” surgical bus. 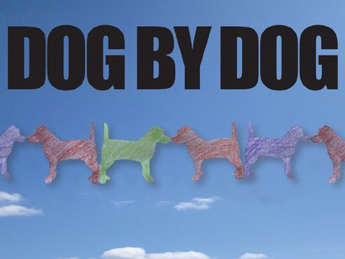 Over 55,000 combined cats and dogs have been fixed since 2003 and the number continues to grow. The Native America Humane Society has opened their doors to SNAP in a first-ever partnership outside of the tribal organization to continue improving the lives of companion animals. “We are very excited to be the first organization in San Diego County to help our local tribal communities by bringing spay and neuter services right to their community,” said Dorell Sackett, SNAP Executive Director. She added, “the desire to help animals is something that transcends all cultures, and proof that people from all walks of life can collaborate to make this possible.” The opportunity for a pet to receive a free spay or neuter procedure is open to members of the La Jolla, Los Coyotes, Mesa Grande, Pala, Pauma, Rincon, San Pasqual, and Santa Ysabel tribes. Tuesday’s clinic also gives SNAP a chance to work in conjunction with US Army vets for the first-time in organizational history. Surgeries will begin promptly at 9:00 am for approximately 50 combined cats and dogs. Half of the procedures will take place inside the Neuter Scooter by SNAP while the US Army vets handle the other half inside the reservation’s Community Center. Doubling the surgical power is significant since two unaltered dogs and their young can produce another 67,000 offspring in six years, and for two unaltered cats and their young, up to 420,000. Even more staggering, is year seven can increase to 1,000,000! The ability to fix 50 animals in one sitting greatly reduces the number of unplanned litters from coming into existence in the first place, which benefits all of San Diego County in terms of healthier communities. SNAP wishes to acknowledge the generous sponsorship from the Native America Humane Society to help offset the costs of running a full clinic to provide free spay and neuters for tribal members. County coupons also assist in reducing costs. People who are interested in donating to SNAPs clinic supply fund can do so through Paypal PayPal.Me/snapsandiego or Donately https://snap-sandiego.org/donate-to-snap-san-diego/. All donations go directly to the purchase of clinic supplies such as sterilized tape and injectable time-released pain medication. No donation is too small since every penny counts in reducing the number of surplus animals born every day.